It’s a fact. Someday, every roof, including yours, will need to be replaced. But as a homeowner, it can be hard know when it’s time to replace…or if a good repair will give you more years of safe and secure use. While every situation is different, there are a few factors that can help you make the right choice for your house’s roofing. 1) Is there roof damage? This might seem like a given…a damaged roof needs to be replaced. But in truth, many kinds of roof damage can be repaired. Some roofing materials can be repaired if the damage hasn’t impacted the structural integrity of your roof. Even shingle roofs can often be repaired if wind or storm damage has taken its toll, leaving you with bare spots. In the case of any roof damage, whether from a falling tree, a hurricane or high winds, it’s best to get a licensed roofing contractor to take a look at the underlying structure before any decisions are made. Sometimes what appears to be minor damage could include problems with the underlying construction…or may reveal existing flaws or other issues not connected with the damage. Which brings us to the next factor: age. 2) How old is your roof? Just like everything else, roofs have an expiration date. For some, it’s several decades. But for others, the age of your roof might be enough of a reason to consider replacement, even if there’s no obvious damage. For asphalt shingles, you can expect between 12-20 years of wear. A properly installed metal roof can be expected to last for anywhere from 50 to 70 years, according to State Farm. Slate can cross the century mark. But just to be safe, any roof which is approaching or has passed the 20 year mark should be considered a candidate for replacement, or at least a thorough inspection. And in areas with severe weather, that number could be even lower. That means your 19 year old shingle roof is probably not a good candidate for repairs, no matter how minor the damage, while your 25 year old metal roof might be worth repairing for years to come. 3) Is your roof leaking? 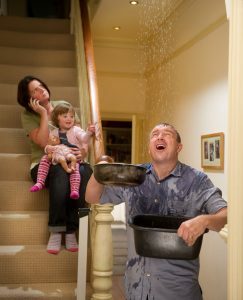 Even if you can see only one small leak, water making its way through your roof could be a sign of bigger problems. Or not. In fact, most roof leaks can be traced to easily repairable issues like the flashing, a cracked tile or two, or some missing shingles. On a roof that still has some years left, these issues are more than likely good candidates for a repair. The plywood or fiberboard underlayment is subject to rotting, which you can’t see, so don’t put off getting a roof inspection. Before you opt for a patch or two, make sure your roofer looks for other issues related to leaks. Sometimes what appears to be one leak is actually several, and a new roof is necessary. Either way, don’t delay. A little water damage you see on your ceiling can do may indicate a lot of unseen damage. Water can run along ceiling joists, then down walls and window framing, and wood which stays wet can even affect your home’s structural integrity. 4) Is your roof poorly constructed or wrong for your area? No matter how attractive or expensive, not all roofs were properly built in the first place. Poor workmanship, second rate materials or even the wrong type of roofing materials for your climate, roof shape or building size can result in leaks, failing attachment or even roof collapse! If your roof was replaced or repaired by a do-it-yourselfer, or one of those “emergency roofers” who go door to door after a storm, you might want to have a reputable contractor take a look at your roof from the top…and from inside, where things like improper supports, cracks of light or water damage might be more visible. 5) Are you planning on selling? 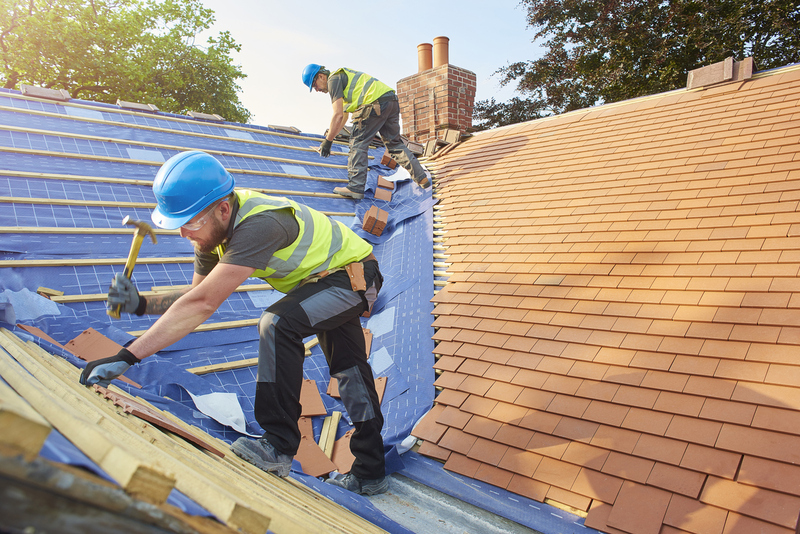 If you’re planning on selling your home in the next few years, a new roof might make sense if it’s getting close to its end date, or if there’s damage or leaks (especially if you’ve already had a number of repairs done already). A new or recently replaced roof is a good selling point as few home buyers want to absorb that expense right after purchasing a new home. Every roof…and every home…is unique. There are many factors that will determine whether your home is ready for a repair, or a whole new roof. Before you make any decisions about any major home repairs, make sure you get a complete inspection from a licensed, experienced professional who specializes in your area’s climate and special needs.